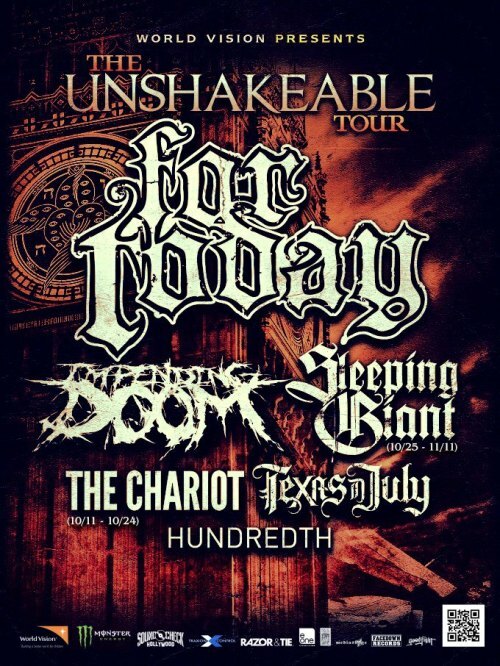 For Today has announced their new US headliner tour with support from Impending Doom, Sleeping Giants, The Chariot, Texas In July and Hundreth. Check out the dates below! 10/12 Orlando, FL @ H2O Live!